In the aftermath of the Sterling and Castile shootings, public outcry intensifies as police struggle to bring order. For the fourth night running, people gathered across the United States to protest the police shootings of two black men in Louisiana and Minnesota. While many of the demonstrations remained peaceful, such as a march 400-strong in Washington D.C., scuffles broke out overnight Saturday in St. Paul, Minnesota, where protesters clashed with police on Interstate 94. Demonstrators blocked the freeway, and threw bottles, bricks and fireworks at police, authorities said. At least five officers were injured by protesters -- one hit with a glass bottle and another by fireworks, according to St. Paul police. One was hit on the head with a large piece of concrete, possibly dropped from a bridge, according to police. Another officer had been hit in the head with a rock, though it is unclear the extent of the injuries. Police also say a Molotov cocktail was thrown at officers. By Sunday morning, police arrested 50 people, the St. Paul police said. The fights happened just miles from where Philando Castile, one of the victims, was shot by police. Castile had been pulled over for a broken taillight. When he told the police officer that he was licensed to carry, and reached for his wallet, "the officer said don't move. As he was putting his hands back up, the officer shot him in the arm four or five times." Diamond Reynolds, Castile's girlfriend, reported frantically in a video she put up on Youtube. The shootings of Philando Castile and Alton Sterling have become a rallying cry for those who believe that police racially profile for black men, and use unnecessary force. Racial tensions in the United States, which are never far from the surface, have flared up in the violent anger of minorities who feel abused. These tensions can have deadly consequences. On Thursday, a sniper killed five police officers during a demonstration in Dallas. Black Lives Matter, who had organized the Dallas protest, have rejected the violence, calling it a tragedy not just for those affected, but also for the nation. 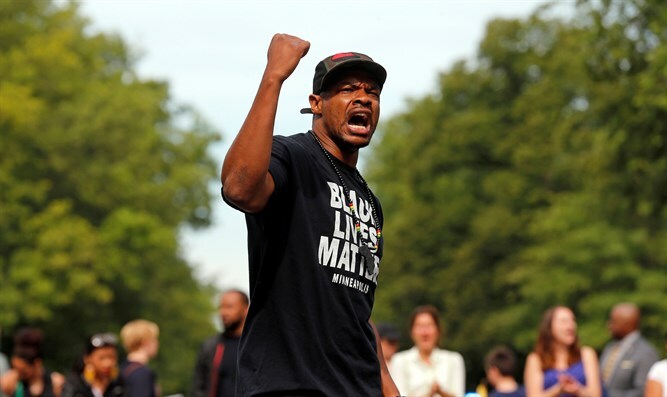 "Black activists have raised the call for an end to violence, not an escalation of it. (Thursday's) attack was the result of the actions of a lone gunman," the group said in a statement. "To assign the actions of one person to an entire movement is dangerous and irresponsible. We continue our efforts to bring about a better world for all of us."